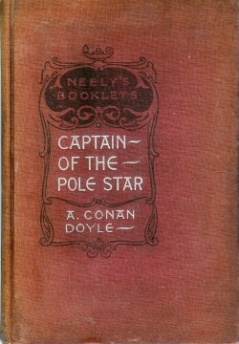 The Captain of the "Pole-Star" is a short story written by Arthur Conan Doyle first published in the Temple Bar magazine in January 1883. Subtitled: Being an extract from the singular journal of John McAlister Ray, student of medecine. 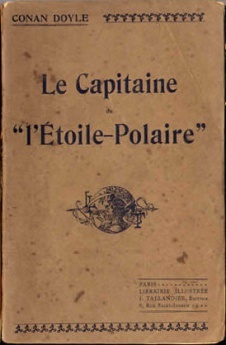 4 The Captain of the "Pole-Star"
in Le Matin (21-26 september 1902 [FR]) as Le Capitaine de "L'Étoile Polaire"
For reasons that are unclear, Nicholas Craigie, Captain of the Pole-Star, decides to anchor in the middle of the arctic ocean, contrary to the opinion of his crew. Indeed, the boat could be trapped in the ice at any moment, resulting in a sudden death for everyone. Days pass... One morning Mr. Manson, the second mate, reports he saw a ghost at night. His story is not taken seriously, and is put on account of idleness. But a few days later, sailor Milne also reports he has seen an apparition around the boat. The whole crew is convinced that something uncanny is flitting around them. The phenomenon cannot be attributed to the natural superstition of the crew, as the doctor himself reports he has heard a cry in the dark. One night, the captain leaves the ship and disappears into the darkness as if he was following an invisible presence. Several times, the crew tried to find him without any success. The next day, they finally found him dead in the ice but it seems not a painful end as a bright smile was still on his face and his hands were in the position of grasping something. He had probably found and embraced the invisible ghost which summoned him. September 11th. — Lat. 81° 40' N.; long. 2° E. Still lying — to amid enormous ice fields. The one which stretches away to the north of us, and to which our ice-anchor is attached, cannot be smaller than an English county. To the right and left unbroken sheets extend to the horizon. This morning the mate reported that there were signs of pack ice to the southward. Should this form of sufficient thickness to bar our return, we shall be in a position of danger, as the food, I hear, is already running somewhat short. It is late in the season, and the nights are beginning to reappear. This morning I saw a star twinkling just over the fore-yard, the first since the beginning of May. There is considerable discontent among the crew, many of whom are anxious to get back home to be in time for the herring season, when labour always commands a high price upon the Scotch coast. As yet their displeasure is only signified by sullen countenances and black looks, but I heard from the second mate this afternoon that they contemplated sending a deputation to the Captain to explain their grievance. I much doubt how he will receive it, as he is a man of fierce temper, and very sensitive about anything approaching to an infringement of his rights. I shall venture after dinner to say a few words to him upon the subject. I have always found that he will tolerate from me what he would resent from any other member of the crew. Amsterdam Island, at the north-west corner of Spitzbergen, is visible upon our starboard quarter — a rugged line of volcanic rocks, intersected by white seams, which represent glaciers. It is curious to think that at the present moment there is probably no human being nearer to us than the Danish settlements in the south of Greenland — a good nine hundred miles as the crow flies. A captain takes a great responsibility upon himself when he risks his vessel under such circumstances. No whaler has ever remained in these latitudes till so advanced a period of the year. 9 P.M. — I have spoken to Captain Craigie, and though the result has been hardly satisfactory, I am bound to say that he listened to what I had to say very quietly and even deferentially. When I had finished he put on that air of iron determination which I have frequently observed upon his face, and paced rapidly backwards and forwards across the narrow cabin for some minutes. At first I feared that I had seriously offended him, but he dispelled the idea by sitting down again, and putting his hand upon my arm with a gesture which almost amounted to a caress. There was a depth of tenderness too in his wild dark eyes which surprised me considerably. "Look here, Doctor," he said, "I'm sorry I ever took you — I am indeed — and I would give fifty pounds this minute to see you standing safe upon the Dundee quay. It's hit or miss with me this time. There are fish to the north of us. How dare you shake your head, sir, when I tell you I saw them blowing from the masthead?" — this in a sudden burst of fury, though I was not conscious of having shown any signs of doubt. "Two-and-twenty fish in as many minutes as I am a living man, and not one under ten foot. Now, Doctor, do you think I can leave the country when there is only one infernal strip of ice between me and my fortune? If it came on to blow from the north to-morrow we could fill the ship and be away before the frost could catch us. If it came on to blow from the south — well, I suppose the men are paid for risking their lives, and as for myself it matters but little to me, for I have more to bind me to the other world than to this one. I confess that I am sorry for you, though. I wish I had old Angus Tait who was with me last voyage, for he was a man that would never be missed, and you — you said once that you were engaged, did you not?" A whale is measured among whalers not by the length of its body, but by the length of its whalebone. "Yes," I answered, snapping the spring of the locket which hung from my watch-chain, and holding up the little vignette of Flora. "Curse you!" he yelled, springing out of his seat, with his very beard bristling with passion. "What is your happiness to me? What have I to do with her that you must dangle her photograph before my eyes? "I almost thought that he was about to strike me in the frenzy of his rage, but with another imprecation he dashed open the door of the cabin and rushed out upon deck, leaving me considerably astonished at his extraordinary violence. It is the first time that he has ever shown me anything but courtesy and kindness. I can hear him pacing excitedly up and down overhead as I write these lines. I should like to give a sketch of the character of this man, but it seems presumptuous to attempt such a thing upon paper, when the idea in my own mind is at best a vague and uncertain one. Several times I have thought that I grasped the clue which might explain it, but only to be disappointed by his presenting himself in some new light which would upset all my conclusions. It may be that no human eye but my own shall ever rest upon these lines, yet as a psychological study I shall attempt to leave some record of Captain Nicholas Craigie. A man's outer case generally gives some indication of the soul within. 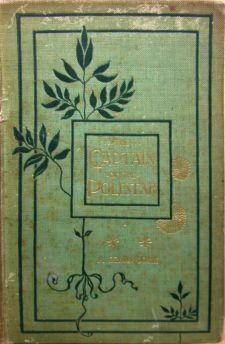 The Captain is tall and well-formed, with dark, handsome face, and a curious way of twitching his limbs, which may arise from nervousness, or be simply an outcome of his excessive energy. His jaw and whole cast of countenance is manly and resolute, but the eyes are the distinctive feature of his face. They are of the very darkest hazel, bright and eager, with a singular mixture of recklessness in their expression, and of something else which I have sometimes thought was more allied with horror than any other emotion. Generally the former predominated, but on occasions, and more particularly when he was thoughtfully inclined, the look of fear would spread and deepen until it imparted a new character to his whole countenance. It is at these times that he is most subject to tempestuous fits of anger, and he seems to be aware of it, for I have known him lock himself up so that no one might approach him until his dark hour was passed. He sleeps badly, and I have heard him shouting during the night, but his cabin is some little distance from mine, and I could never distinguish the words which he said. This is one phase of his character, and the most disagreeable one. It is only through my close association with him, thrown together as we are day after day, that I have observed it. Otherwise he is an agreeable companion, well-read and entertaining, and as gallant a seaman as ever trod a deck. I shall not easily forget the way in which he handled the ship when we were caught by a gale among the loose ice at the beginning of April. I have never seen him so cheerful, and even hilarious, as he was that night, as he paced backwards and forwards upon the bridge amid the flashing of the lightning and the howling of the wind. He has told me several times that the thought of death was a pleasant one to him, which is a sad thing for a young man to say; he cannot be much more than thirty, though his hair and moustache are already slightly grizzled. Some great sorrow must have overtaken him and blighted his whole life. Perhaps I should be the same if I lost my Flora — God knows! I think if it were not for her that I should care very little whether the wind blew from the north or the south to-morrow. There, I hear him come down the companion, and he has locked himself up in his room, which shows that he is still in an unamiable mood. And so to bed, as old Pepys would say, for the candle is burning down (we have to use them now since the nights are closing in), and the steward has turned in, so there are no hopes of another one. September 12th. — Calm, clear day, and still lying in the same position. What wind there is comes from the south-east, but it is very slight. Captain is in a better humour, and apologised to me at breakfast for his rudeness. He still looks somewhat distrait, however, and retains that wild look in his eyes which in a Highlander would mean that he was "fey" — at least so our chief engineer remarked to me, and he has some reputation among the Celtic portion of our crew as a seer and expounder of omens. It is strange that superstition should have obtained such mastery over this hard-headed and practical race. I could not have believed to what an extent it is carried had I not observed it for myself. We have had a perfect epidemic of it this voyage, until I have felt inclined to serve out rations of sedatives and nerve-tonics with the Saturday allowance of grog. The first symptom of it was that shortly after leaving Shetland the men at the wheel used to complain that they heard plaintive cries and screams in the wake of the ship, as if something were following it and were unable to overtake it. This fiction has been kept up during the whole voyage, and on dark nights at the beginning of the seal-fishing it was only with great difficulty that men could be induced to do their spell. No doubt what they heard was either the creaking of the rudder-chains, or the cry of some passing sea-bird. I have been fetched out of bed several times to listen to it, but I need hardly say that I was never able to distinguish anything unnatural. The men, however, are so absurdly positive upon the subject that it is hopeless to argue with them. I mentioned the matter to the Captain once, but to my surprise he took it very gravely, and indeed appeared to be considerably disturbed by what I told him. I should have thought that he at least would have been above such vulgar delusions. All this disquisition upon superstition leads me up to the fact that Mr. Manson, our second mate, saw a ghost last night — or, at least, says that he did, which of course is the same thing. It is quite refreshing to have some new topic of conversation after the eternal routine of bears and whales which has served us for so many months. Manson swears the ship is haunted, and that he would not stay in her a day if he had any other place to go to. Indeed the fellow is honestly frightened, and I had to give him some chloral and bromide of potassium this morning to steady him down. He seemed quite indignant when I suggested that he had been having an extra glass the night before, and I was obliged to pacify him by keeping as grave a countenance as possible during his story, which he certainly narrated in a very straight-forward and matter-of-fact way. "I was on the bridge," he said, "about four bells in the middle watch, just when the night was at its darkest. There was a bit of a moon, but the clouds were blowing across it so that you couldn't see far from the ship. 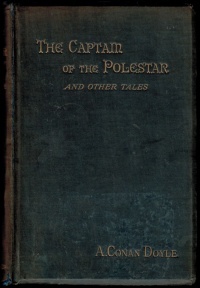 John M'Leod, the harpooner, came aft from the foc'sle-head and reported a strange noise on the starboard bow. I went forrard and we both heard it, sometimes like a bairn crying and sometimes like a wench in pain. I've been seventeen years to the country and I never heard seal, old or young, make a sound like that. As we were standing there on the foc'sle-head the moon came out from behind a cloud, and we both saw a sort of white figure moving across the ice field in the same direction that we had heard the cries. We lost sight of it for a while, but it came back on the port bow, and we could just make it out like a shadow on the ice. I sent a hand aft for the rifles, and M'Leod and I went down on to the pack, thinking that maybe it might be a bear. When we got on the ice I lost sight of M'Leod, but I pushed on in the direction where I could still hear the cries. I followed them for a mile or maybe more, and then running round a hummock I came right on to the top of it standing and waiting for me seemingly. I don't know what it was. It wasn't a bear any way. It was tall and white and straight, and if it wasn't a man nor a woman, I'll stake my davy it was something worse. I made for the ship as hard as I could run, and precious glad I was to find myself aboard. I signed articles to do my duty by the ship, and on the ship I'll stay, but you don't catch me on the ice again after sundown." That is his story, given as far as I can in his own words. I fancy what he saw must, in spite of his denial, have been a young bear erect upon its hind legs, an attitude which they often assume when alarmed. In the uncertain light this would bear a resemblance to a human figure, especially to a man whose nerves were already somewhat shaken. Whatever it may have been, the occurrence is unfortunate, for it has produced a most unpleasant effect upon the crew. Their looks are more sullen than before, and their discontent more open. The double grievance of being debarred from the herring fishing and of being detained in what they choose to call a haunted vessel, may lead them to do something rash. Even the harpooners, who are the oldest and steadiest among them, are joining in the general agitation. Apart from this absurd outbreak of superstition, things are looking rather more cheerful. The pack which was forming to the south of us has partly cleared away, and the water is so warm as to lead me to believe that we are lying in one of those branches of the gulf-stream which run up between Greenland and Spitzbergen. There are numerous small Medusse and sealemons about the ship, with abundance of shrimps, so that there is every possibility of "fish" being sighted. Indeed one was seen blowing about dinner-time, but in such a position that it was impossible for the boats to follow it. September 13th. — Had an interesting conversation with the chief mate, Mr. Milne, upon the bridge. It seems that our Captain is as great an enigma to the seamen, and even to the owners of the vessel, as he has been to me. Mr. Milne tells me that when the ship is paid off, upon returning from a voyage, Captain Craigie disappears, and is not seen again until the approach of another season, when he walks quietly into the office of the company, and asks whether his services will be required. He has no friend in Dundee, nor does any one pretend to be acquainted with his early history. His position depends entirely upon his skill as a seaman, and the name for courage and coolness which he had earned in the capacity of mate, before being entrusted with a separate command. The unanimous opinion seems to be that he is not a Scotchman, and that his name is an assumed one. Mr. Milne thinks that he has devoted himself to whaling simply for the reason that it is the most dangerous occupation which he could select, and that he courts death in every possible manner. He mentioned several instances of this, one of which is rather curious, if true. It seems that on one occasion he did not put in an appearance at the office, and a substitute had to be selected in his place. That was at the time of the last Russian and Turkish war. When he turned up again next spring he had a puckered wound in the side of his neck which he used to endeavour to conceal with his cravat. Whether the mate's inference that he had been engaged in the war is true or not I cannot say. It was certainly a strange coincidence. The wind is veering round in an easterly direction, but is still very slight. I think the ice is lying closer than it did yesterday. As far as the eye can reach on every side there is one wide expanse of spotless white, only broken by an occasional rift or the dark shadow of a hummock. To the south there is the narrow lane of blue water which is our sole means of escape, and which is closing up every day. The Captain is taking a heavy responsibility upon himself. I hear that the tank of potatoes has been finished, and even the biscuits are running short, but he preserves the same impassible countenance, and spends the greater part of the day at the crow's nest, sweeping the horizon with his glass. His manner is very variable, and he seems to avoid my society, but there has been no repetition of the violence which he showed the other night. 7.30 P.M. — My deliberate opinion is that we are commanded by a madman. Nothing else can account for the extraordinary vagaries of Captain Craigie. It is fortunate that I have kept this journal of our voyage, as it will serve to justify us in case we have to put him under any sort of restraint, a step which I should only consent to as a last resource. Curiously enough it was he himself who suggested lunacy and not mere eccentricity as the secret of his strange conduct. He was standing upon the bridge about an hour ago, peering as usual through his glass, while I was walking up and down the quarterdeck. The majority of the men were below at their tea, for the watches have not been regularly kept of late. Tired of walking, I leaned against the bulwarks, and admired the mellow glow cast by the sinking sun upon the great ice fields which surround us. I was suddenly aroused from the reverie into which I had fallen by a hoarse voice at my elbow, and starting round I found that the Captain had descended and was standing by my side. He was staring out over the ice with an expression in which horror, surprise, and something approaching to joy were contending for the mastery. In spite of the cold, great drops of perspiration were coursing down his forehead, and he was evidently fearfully excited. His limbs twitched like those of a man upon the verge of an epileptic fit, and the lines about his mouth were drawn and hard. "Look!" he gasped, seizing me by the wrist, but still keeping his eyes upon the distant ice, and moving his head slowly in a horizontal direction, as if following some object which was moving across the field of vision. "Look! There, man, there! Between the hummocks! Now coming out from behind the far one! You see her — you MUST see her! There still! Flying from me, by God, flying from me — and gone!" He uttered the last two words in a whisper of concentrated agony which shall never fade from my remembrance. Clinging to the ratlines he endeavoured to climb up upon the top of the bulwarks as if in the hope of obtaining a last glance at the departing object. His strength was not equal to the attempt, however, and he staggered back against the saloon skylights, where he leaned panting and exhausted. His face was so livid that I expected him to become unconscious, so lost no time in leading him down the companion, and stretching him upon one of the sofas in the cabin. I then poured him out some brandy, which I held to his lips, and which had a wonderful effect upon him, bringing the blood back into his white face and steadying his poor shaking limbs. He raised himself up upon his elbow, and looking round to see that we were alone, he beckoned to me to come and sit beside him. "You saw it, didn't you? "he asked, still in the same subdued awesome tone so foreign to the nature of the man. His head sank back again upon the cushions. "No, he wouldn't without the glass," he murmured. "He couldn't. It was the glass that showed her to me, and then the eyes of love — the eyes of love. I say, Doc, don't let the steward in! He'll think I'm mad. Just bolt the door, will you!" I rose and did what he had commanded. He lay quiet for a while, lost in thought apparently, and then raised himself up upon his elbow again, and asked for some more brandy. "You don't think I am, do you, Doc?" he asked, as I was putting the bottle back into the after-locker. "Tell me now, as man to man, do you think that I am mad?" "I think you have something on your mind," I answered, "which is exciting you and doing you a good deal of harm." "Right there, lad!" he cried, his eyes sparkling from the effects of the brandy. "Plenty on my mind — plenty! But I can work out the latitude and the longitude, and I can handle my sextant and manage my logarithms. You couldn't prove me mad in a court of law, could you, now? "It was curious to hear the man lying back and coolly arguing out the question of his own sanity. "Perhaps not," I said; "but still I think you would be wise to get home as soon as you can, and settle down to a quiet life for a while." "Get home, eh?" he muttered, with a sneer upon his face. "One word for me and two for yourself, lad. Settle down with Flora — pretty little Flora. Are bad dreams signs of madness?" "What else? What would be the first symptoms?" "Pains in the head, noises in the ears flashes before the eyes, delusions—"
"Ah! what about them?" he interrupted. "What would you call a delusion?" "Seeing a thing which is not there is a delusion." "But she WAS there!" he groaned to himself. "She WAS there!" and rising, he unbolted the door and walked with slow and uncertain steps to his own cabin, where I have no doubt that he will remain until to-morrow morning. His system seems to have received a terrible shock, whatever it may have been that he imagined himself to have seen. The man becomes a greater mystery every day, though I fear that the solution which he has himself suggested is the correct one, and that his reason is affected. I do not think that a guilty conscience has anything to do with his behaviour. The idea is a popular one among the officers, and, I believe, the crew; but I have seen nothing to support it. He has not the air of a guilty man, but of one who has had terrible usage at the hands of fortune, and who should be regarded as a martyr rather than a criminal. The wind is veering round to the south to-night. God help us if it blocks that narrow pass which is our only road to safety! Situated as we are on the edge of the main Arctic pack, or the "barrier" as it is called by the whalers, any wind from the north has the effect of shredding out the ice around us and allowing our escape, while a wind from the south blows up all the loose ice behind us and hems us in between two packs. God help us, I say again! September 14th. — Sunday, and a day of rest. My fears have been confirmed, and the thin strip of blue water has disappeared from the southward. Nothing but the great motionless ice fields around us, with their weird hummocks and fantastic pinnacles. There is a deathly silence over their wide expanse which is horrible. No lapping of the waves now, no cries of seagulls or straining of sails, but one deep universal silence in which the murmurs of the seamen, and the creak of their boots upon the white shining deck, seem discordant and out of place. Our only visitor was an Arctic fox, a rare animal upon the pack, though common enough upon the land. He did not come near the ship, however, but after surveying us from a distance fled rapidly across the ice. This was curious conduct, as they generally know nothing of man, and being of an inquisitive nature, become so familiar that they are easily captured. Incredible as it may seem, even this little incident produced a bad effect upon the crew. "Yon puir beastie kens mair, ay, an' sees mair nor you nor me!" was the comment of one of the leading harpooners, and the others nodded their acquiescence. It is vain to attempt to argue against such puerile superstition. They have made up their minds that there is a curse upon the ship, and nothing will ever persuade them to the contrary. The Captain remained in seclusion all day except for about half an hour in the afternoon, when he came out upon the quarterdeck. I observed that he kept his eye fixed upon the spot where the vision of yesterday had appeared, and was quite prepared for another outburst, but none such came. He did not seem to see me although I was standing close beside him. Divine service was read as usual by the chief engineer. It is a curious thing that in whaling vessels the Church of England Prayer-book is always employed, although there is never a member of that Church among either officers or crew. Our men are all Roman Catholics or Presbyterians, the former predominating. Since a ritual is used which is foreign to both, neither can complain that the other is preferred to them, and they listen with all attention and devotion, so that the system has something to recommend it. A glorious sunset, which made the great fields of ice look like a lake of blood. I have never seen a finer and at the same time more weird effect. Wind is veering round. If it will blow twenty-four hours from the north all will yet be well. September 15th. — To-day is Flora's birthday. Dear lass! It is well that she cannot see her boy, as she used to call me, shut up among the ice fields with a crazy captain and a few weeks' provisions. No doubt she scans the shipping list in the Scotsman every morning to see if we are reported from Shetland. I have to set an example to the men and look cheery and unconcerned; but God knows, my heart is very heavy at times. The thermometer is at nineteen Fahrenheit to-day. There is but little wind, and what there is comes from an unfavourable quarter. Captain is in an excellent humour; I think he imagines he has seen some other omen or vision, poor fellow, during the night, for he came into my room early in the morning, and stooping down over my bunk, whispered, "It wasn't a delusion, Doc; it's all right!" After breakfast he asked me to find out how much food was left, which the second mate and I proceeded to do. It is even less than we had expected. Forward they have half a tank full of biscuits, three barrels of salt meat, and a very limited supply of coffee beans and sugar. In the after-hold and lockers there are a good many luxuries, such as tinned salmon, soups, haricot mutton, etc. , but they will go a very short way among a crew of fifty men. There are two barrels of flour in the store-room, and an unlimited supply of tobacco. Altogether there is about enough to keep the men on half rations for eighteen or twenty days—certainly not more. When we reported the state of things to the Captain, he ordered all hands to be piped, and addressed them from the quarterdeck. I never saw him to better advantage. With his tall, well-knit figure, and dark animated face, he seemed a man born to command, and he discussed the situation in a cool sailor-like way which showed that while appreciating the danger he had an eye for every loophole of escape. "My lads," he said, "no doubt you think I brought you into this fix, if it is a fix, and maybe some of you feel bitter against me on account of it. But you must remember that for many a season no ship that comes to the country has brought in as much oil-money as the old Pole-Star, and every one of you has had his share of it. You can leave your wives behind you in comfort while other poor fellows come back to find their lasses on the parish. If you have to thank me for the one you have to thank me for the other, and we may call it quits. We've tried a bold venture before this and succeeded, so now that we've tried one and failed we've no cause to cry out about it. If the worst comes to the worst, we can make the land across the ice, and lay in a stock of seals which will keep us alive until the spring. It won't come to that, though, for you'll see the Scotch coast again before three weeks are out. At present every man must go on half rations, share and share alike, and no favour to any. Keep up your hearts and you'll pull through this as you've pulled through many a danger before. "These few simple words of his had a wonderful effect upon the crew. His former unpopularity was forgotten, and the old harpooner whom I have already mentioned for his superstition, led off three cheers, which were heartily joined in by all hands. September 16th. — The wind has veered round to the north during the night, and the ice shows some symptoms of opening out. The men are in a good humour in spite of the short allowance upon which they have been placed. Steam is kept up in the engine-room, that there may be no delay should an opportunity for escape present itself. The Captain is in exuberant spirits, though he still retains that wild "fey" expression which I have already remarked upon. This burst of cheerfulness puzzles me more than his former gloom. I cannot understand it. I think I mentioned in an early part of this journal that one of his oddities is that he never permits any person to enter his cabin, but insists upon making his own bed, such as it is, and performing every other office for himself. To my surprise he handed me the key to-day and requested me to go down there and take the time by his chronometer while he measured the altitude of the sun at noon. It is a bare little room, containing a washing-stand and a few books, but little else in the way of luxury, except some pictures upon the walls. The majority of these are small cheap oleographs, but there was one water-colour sketch of the head of a young lady which arrested my attention. It was evidently a portrait, and not one of those fancy types of female beauty which sailors particularly affect. No artist could have evolved from his own mind such a curious mixture of character and weakness. The languid, dreamy eyes, with their drooping lashes, and the broad, low brow, unruffled by thought or care, were in strong contrast with the clean-cut, prominent jaw, and the resolute set of the lower lip. Underneath it in one of the corners was written, "M. B. , aet. 19." That any one in the short space of nineteen years of existence could develop such strength of will as was stamped upon her face seemed to me at the time to be well-nigh incredible. She must have been an extraordinary woman. Her features have thrown such a glamour over me that, though I had but a fleeting glance at them, I could, were I a draughtsman, reproduce them line for line upon this page of the journal. I wonder what part she has played in our Captain's life. He has hung her picture at the end of his berth, so that his eyes continually rest upon it. Were he a less reserved man I should make some remark upon the subject. 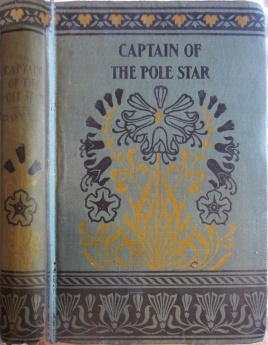 Of the other things in his cabin there was nothing worthy of mention — uniform coats, a camp-stool, small looking-glass, tobacco-box, and numerous pipes, including an oriental hookah — which, by-the-bye, gives some colour to Mr. Milne's story about his participation in the war, though the connection may seem rather a distant one. 11.20 P.M. — Captain just gone to bed after a long and interesting conversation on general topics. When he chooses he can be a most fascinating companion, being remarkably well-read, and having the power of expressing his opinion forcibly without appearing to be dogmatic. I hate to have my intellectual toes trod upon. He spoke about the nature of the soul, and sketched out the views of Aristotle and Plato upon the subject in a masterly manner. He seems to have a leaning for metempsychosis and the doctrines of Pythagoras. In discussing them we touched upon modern spiritualism, and I made some joking allusion to the impostures of Slade, upon which, to my surprise, he warned me most impressively against confusing the innocent with the guilty, and argued that it would be as logical to brand Christianity as an error because Judas, who professed that religion, was a villain. He shortly afterwards bade me good-night and retired to his room. The wind is freshening up, and blows steadily from the north. The nights are as dark now as they are in England. I hope to-morrow may set us free from our frozen fetters. September 17th. — The Bogie again. Thank Heaven that I have strong nerves! The superstition of these poor fellows, and the circumstantial accounts which they give, with the utmost earnestness and self-conviction, would horrify any man not accustomed to their ways. There are many versions of the matter, but the sum-total of them all is that something uncanny has been flitting round the ship all night, and that Sandie M'Donald of Peterhead and "lang" Peter Williamson of Shetland saw it, as also did Mr. Milne on the bridge — so, having three witnesses, they can make a better case of it than the second mate did. I spoke to Milne after breakfast, and told him that he should be above such nonsense, and that as an officer he ought to set the men a better example. He shook his weatherbeaten head ominously, but answered with characteristic caution, "Mebbe aye, mebbe na, Doctor," he said; "I didna ca' it a ghaist. I canna' say I preen my faith in sea-bogles an' the like, though there's a mony as claims to ha' seen a' that and waur. I'm no easy feared, but maybe your ain bluid would run a bit cauld, mun, if instead o' speerin' aboot it in daylicht ye were wi' me last night, an' seed an awfu' like shape, white an' gruesome, whiles here, whiles there, an' it greetin' and ca'ing in the darkness like a bit lambie that hae lost its mither. Ye would na' be sae ready to put it a' doon to auld wives' clavers then, I'm thinkin'." I saw it was hopeless to reason with him, so contented myself with begging him as a personal favour to call me up the next time the spectre appeared — a request to which he acceded with many ejaculations expressive of his hopes that such an opportunity might never arise. As I had hoped, the white desert behind us has become broken by many thin streaks of water which intersect it in all directions. Our latitude to-day was 80° 52' N. , which shows that there is a strong southerly drift upon the pack. Should the wind continue favourable it will break up as rapidly as it formed. At present we can do nothing but smoke and wait and hope for the best. I am rapidly becoming a fatalist. When dealing with such uncertain factors as wind and ice a man can be nothing else. Perhaps it was the wind and sand of the Arabian deserts which gave the minds of the original followers of Mahomet their tendency to bow to kismet. These spectral alarms have a very bad effect upon the Captain. 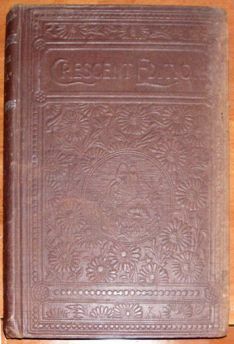 I feared that it might excite his sensitive mind, and endeavoured to conceal the absurd story from him, but unfortunately he overheard one of the men making an allusion to it, and insisted upon being informed about it. As I had expected, it brought out all his latent lunacy in an exaggerated form. I can hardly believe that this is the same man who discoursed philosophy last night with the most critical acumen and coolest judgment. He is pacing backwards and forwards upon the quarterdeck like a caged tiger, stopping now and again to throw out his hands with a yearning gesture, and stare impatiently out over the ice. He keeps up a continual mutter to himself, and once he called out, "But a little time, love — but a little time!" Poor fellow, it is sad to see a gallant seaman and accomplished gentleman reduced to such a pass, and to think that imagination and delusion can cow a mind to which real danger was but the salt of life. Was ever a man in such a position as I, between a demented captain and a ghost-seeing mate? I sometimes think I am the only really sane man aboard the vessel — except perhaps the second engineer, who is a kind of ruminant, and would care nothing for all the fiends in the Red Sea so long as they would leave him alone and not disarrange his tools. The ice is still opening rapidly, and there is every probability of our being able to make a start to-morrow morning. They will think I am inventing when I tell them at home all the strange things that have befallen me. 12 P.M. — I have been a good deal startled, though I feel steadier now, thanks to a stiff glass of brandy. I am hardly myself yet, however, as this handwriting will testify. The fact is, that I have gone through a very strange experience, and am beginning to doubt whether I was justified in branding every one on board as madmen because they professed to have seen things which did not seem reasonable to my understanding. Pshaw! I am a fool to let such a trifle unnerve me; and yet, coming as it does after all these alarms, it has an additional significance, for I cannot doubt either Mr. Manson's story or that of the mate, now that I have experienced that which I used formerly to scoff at. After all it was nothing very alarming — a mere sound, and that was all. I cannot expect that any one reading this, if any one ever should read it, will sympathise with my feelings, or realise the effect which it produced upon me at the time. Supper was over, and I had gone on deck to have a quiet pipe before turning in. The night was very dark — so dark that, standing under the quarter-boat, I was unable to see the officer upon the bridge. I think I have already mentioned the extraordinary silence which prevails in these frozen seas. In other parts of the world, be they ever so barren, there is some slight vibration of the air — some faint hum, be it from the distant haunts of men, or from the leaves of the trees, or the wings of the birds, or even the faint rustle of the grass that covers the ground. One may not actively perceive the sound, and yet if it were withdrawn it would be missed. It is only here in these Arctic seas that stark, unfathomable stillness obtrudes itself upon you in all its gruesome reality. You find your tympanum straining to catch some little murmur, and dwelling eagerly upon every accidental sound within the vessel. In this state I was leaning against the bulwarks when there arose from the ice almost directly underneath me a cry, sharp and shrill, upon the silent air of the night, beginning, as it seemed to me, at a note such as prima donna never reached, and mounting from that ever higher and higher until it culminated in a long wail of agony, which might have been the last cry of a lost soul. The ghastly scream is still ringing in my ears. Grief, unutterable grief, seemed to be expressed in it, and a great longing, and yet through it all there was an occasional wild note of exultation. It shrilled out from close beside me, and yet as I glared into the darkness I could discern nothing. I waited some little time, but without hearing any repetition of the sound, so I came below, more shaken than I have ever been in my life before. As I came down the companion I met Mr. Milne coming up to relieve the watch. "Weel, Doctor," he said, "maybe that's auld wives' clavers tae? Did ye no hear it skirling? Maybe that's a supersteetion? What d'ye think o't noo?" I was obliged to apologise to the honest fellow, and acknowledge that I was as puzzled by it as he was. Perhaps to-morrow things may look different. At present I dare hardly write all that I think. Reading it again in days to come, when I have shaken off all these associations, I should despise myself for having been so weak. September 18th. — Passed a restless and uneasy night, still haunted by that strange sound. The Captain does not look as if he had had much repose either, for his face is haggard and his eyes bloodshot. I have not told him of my adventure of last night, nor shall I. He is already restless and excited, standing up, sitting down, and apparently utterly unable to keep still. A fine lead appeared in the pack this morning, as I had expected, and we were able to cast off our ice-anchor, and steam about twelve miles in a west- sou'-westerly direction. We were then brought to a halt by a great floe as massive as any which we have left behind us. It bars our progress completely, so we can do nothing but anchor again and wait until it breaks up, which it will probably do within twenty-four hours, if the wind holds. Several bladder-nosed seals were seen swimming in the water, and one was shot, an immense creature more than eleven feet long. They are fierce, pugnacious animals, and are said to be more than a match for a bear. Fortunately they are slow and clumsy in their movements, so that there is little danger in attacking them upon the ice. The Captain evidently does not think we have seen the last of our troubles, though why he should take a gloomy view of the situation is more than I can fathom, since every one else on board considers that we have had a miraculous escape, and are sure now to reach the open sea. "I suppose you think it's all right now, Doctor? "he said, as we sat together after dinner. "I hope so," I answered. "We mustn't be too sure — and yet no doubt you are right. We'll all be in the arms of our own true loves before long, lad, won't we? But we mustn't be too sure — we mustn't be too sure. " He sat silent a little, swinging his leg thoughtfully backwards and forwards. "Look here," he continued; "it's a dangerous place this, even at its best — a treacherous, dangerous place. I have known men cut off very suddenly in a land like this. A slip would do it sometimes — a single slip, and down you go through a crack, and only a bubble on the green water to show where it was that you sank. It's a queer thing," he continued with a nervous laugh, "but all the years I've been in this country I never once thought of making a will — not that I have anything to leave in particular, but still when a man is exposed to danger he should have everything arranged and ready — don't you think so?" "Certainly," I answered, wondering what on earth he was driving at. "He feels better for knowing it's all settled," he went on. "Now if anything should ever befall me, I hope that you will look after things for me. There is very little in the cabin, but such as it is I should like it to be sold, and the money divided in the same proportion as the oil-money among the crew. The chronometer I wish you to keep yourself as some slight remembrance of our voyage. Of course all this is a mere precaution, but I thought I would take the opportunity of speaking to you about it. I suppose I might rely upon you if there were any necessity?" "Most assuredly," I answered; "and since you are taking this step, I may as well—" "You! you!" he interrupted. "YOU'RE all right. What the devil is the matter with YOU? There, I didn't mean to be peppery, but I don't like to hear a young fellow, that has hardly began life, speculating about death. Go up on deck and get some fresh air into your lungs instead of talking nonsense in the cabin, and encouraging me to do the same. " The more I think of this conversation of ours the less do I like it. Why should the man be settling his affairs at the very time when we seem to be emerging from all danger? There must be some method in his madness. Can it be that he contemplates suicide? I remember that upon one occasion he spoke in a deeply reverent manner of the heinousness of the crime of self-destruction. I shall keep my eye upon him, however, and though I cannot obtrude upon the privacy of his cabin, I shall at least make a point of remaining on deck as long as he stays up. Mr. Milne pooh-poohs my fears, and says it is only the "skipper's little way. "He himself takes a very rosy view of the situation. According to him we shall be out of the ice by the day after to-morrow, pass Jan Meyen two days after that, and sight Shetland in little more than a week. I hope he may not be too sanguine. His opinion may be fairly balanced against the gloomy precautions of the Captain, for he is an old and experienced seaman, and weighs his words well before uttering them. The long-impending catastrophe has come at last. I hardly know what to write about it. The Captain is gone. He may come back to us again alive, but I fear me — I fear me. It is now seven o'clock of the morning of the 19th of September. I have spent the whole night traversing the great ice-floe in front of us with a party of seamen in the hope of coming upon some trace of him, but in vain. I shall try to give some account of the circumstances which attended upon his disappearance. Should any one ever chance to read the words which I put down, I trust they will remember that I do not write from conjecture or from hearsay, but that I, a sane and educated man, am describing accurately what actually occurred before my very eyes. My inferences are my own, but I shall be answerable for the facts. The Captain remained in excellent spirits after the conversation which I have recorded. He appeared to be nervous and impatient, however, frequently changing his position, and moving his limbs in an aimless choreic way which is characteristic of him at times. In a quarter of an hour he went upon deck seven times, only to descend after a few hurried paces. I followed him each time, for there was something about his face which confirmed my resolution of not letting him out of my sight. He seemed to observe the effect which his movements had produced, for he endeavoured by an over-done hilarity, laughing boisterously at the very smallest of jokes, to quiet my apprehensions. After supper he went on to the poop once more, and I with him. The night was dark and very still, save for the melancholy soughing of the wind among the spars. A thick cloud was coming up from the northwest, and the ragged tentacles which it threw out in front of it were drifting across the face of the moon, which only shone now and again through a rift in the wrack. The Captain paced rapidly backwards and forwards, and then seeing me still dogging him, he came across and hinted that he thought I should be better below — which, I need hardly say, had the effect of strengthening my resolution to remain on deck. I think he forgot about my presence after this, for he stood silently leaning over the taffrail, and peering out across the great desert of snow, part of which lay in shadow, while part glittered mistily in the moonlight. Several times I could see by his movements that he was referring to his watch, and once he muttered a short sentence, of which I could only catch the one word "ready." I confess to having felt an eerie feeling creeping over me as I watched the loom of his tall figure through the darkness, and noted how completely he fulfilled the idea of a man who is keeping a tryst. A tryst with whom? Some vague perception began to dawn upon me as I pieced one fact with another, but I was utterly unprepared for the sequel. By the sudden intensity of his attitude I felt that he saw something. I crept up behind him. He was staring with an eager questioning gaze at what seemed to be a wreath of mist, blown swiftly in a line with the ship. It was a dim, nebulous body, devoid of shape, sometimes more, sometimes less apparent, as the light fell on it. The moon was dimmed in its brilliancy at the moment by a canopy of thinnest cloud, like the coating of an anemone. "Coming, lass, coming," cried the skipper, in a voice of unfathomable tenderness and compassion, like one who soothes a beloved one by some favour long looked for, and as pleasant to bestow as to receive. What followed happened in an instant. I had no power to interfere. He gave one spring to the top of the bulwarks, and another which took him on to the ice, almost to the feet of the pale misty figure. He held out his hands as if to clasp it, and so ran into the darkness with outstretched arms and loving words. I still stood rigid and motionless, straining my eyes after his retreating form, until his voice died away in the distance. I never thought to see him again, but at that moment the moon shone out brilliantly through a chink in the cloudy heaven, and illuminated the great field of ice. Then I saw his dark figure already a very long way off, running with prodigious speed across the frozen plain. That was the last glimpse which we caught of him — perhaps the last we ever shall. A party was organised to follow him, and I accompanied them, but the men's hearts were not in the work, and nothing was found. Another will be formed within a few hours. I can hardly believe I have not been dreaming, or suffering from some hideous nightmare, as I write these things down. 7.30 P.M. — Just returned dead beat and utterly tired out from a second unsuccessful search for the Captain. The floe is of enormous extent, for though we have traversed at least twenty miles of its surface, there has been no sign of its coming to an end. The frost has been so severe of late that the overlying snow is frozen as hard as granite, otherwise we might have had the footsteps to guide us. The crew are anxious that we should cast off and steam round the floe and so to the southward, for the ice has opened up during the night, and the sea is visible upon the horizon. They argue that Captain Craigie is certainly dead, and that we are all risking our lives to no purpose by remaining when we have an opportunity of escape. Mr. Milne and I have had the greatest difficulty in persuading them to wait until to-morrow night, and have been compelled to promise that we will not under any circumstances delay our departure longer than that. We propose therefore to take a few hours' sleep, and then to start upon a final search. September 20th, evening. — I crossed the ice this morning with a party of men exploring the southern part of the floe, while Mr. Milne went off in a northerly direction. We pushed on for ten or twelve miles without seeing a trace of any living thing except a single bird, which fluttered a great way over our heads, and which by its flight I should judge to have been a falcon. The southern extremity of the ice field tapered away into a long narrow spit which projected out into the sea. When we came to the base of this promontory, the men halted, but I begged them to continue to the extreme end of it, that we might have the satisfaction of knowing that no possible chance had been neglected. We had hardly gone a hundred yards before M'Donald of Peterhead cried out that he saw something in front of us, and began to run. We all got a glimpse of it and ran too. At first it was only a vague darkness against the white ice, but as we raced along together it took the shape of a man, and eventually of the man of whom we were in search. He was lying face downwards upon a frozen bank. Many little crystals of ice and feathers of snow had drifted on to him as he lay, and sparkled upon his dark seaman's jacket. As we came up some wandering puff of wind caught these tiny flakes in its vortex, and they whirled up into the air, partially descended again, and then, caught once more in the current, sped rapidly away in the direction of the sea. To my eyes it seemed but a snow-drift, but many of my companions averred that it started up in the shape of a woman, stooped over the corpse and kissed it, and then hurried away across the floe. I have learned never to ridicule any man's opinion, however strange it may seem. Sure it is that Captain Nicholas Craigie had met with no painful end, for there was a bright smile upon his blue pinched features, and his hands were still outstretched as though grasping at the strange visitor which had summoned him away into the dim world that lies beyond the grave. We buried him the same afternoon with the ship's ensign around him, and a thirty-two pound shot at his feet. I read the burial service, while the rough sailors wept like children, for there were many who owed much to his kind heart, and who showed now the affection which his strange ways had repelled during his lifetime. He went off the grating with a dull, sullen splash, and as I looked into the green water I saw him go down, down, down until he was but a little flickering patch of white hanging upon the outskirts of eternal darkness. Then even that faded away, and he was gone. There he shall lie, with his secret and his sorrows and his mystery all still buried in his breast, until that great day when the sea shall give up its dead, and Nicholas Craigie come out from among the ice with the smile upon his face, and his stiffened arms outstretched in greeting. I pray that his lot may be a happier one in that life than it has been in this. I shall not continue my journal. Our road to home lies plain and clear before us, and the great ice field will soon be but a remembrance of the past. It will be some time before I get over the shock produced by recent events. When I began this record of our voyage I little thought of how I should be compelled to finish it. I am writing these final words in the lonely cabin, still starting at times and fancying I hear the quick nervous step of the dead man upon the deck above me. I entered his cabin to-night, as was my duty, to make a list of his effects in order that they might be entered in the official log. All was as it had been upon my previous visit, save that the picture which I have described as having hung at the end of his bed had been cut out of its frame, as with a knife, and was gone. 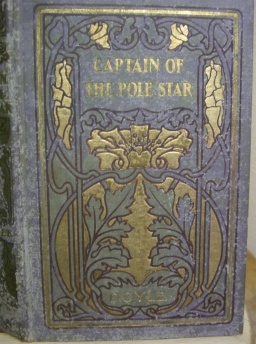 With this last link in a strange chain of evidence I close my diary of the voyage of the Pole-Star. This page was last edited on 6 April 2019, at 20:26.